Tara at Sticky Fingers is having a week off this week. 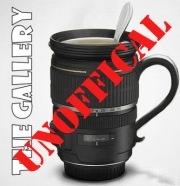 So Chelle at Chelle's Place is hosting an unofficial gallery. I can't see where she says the prompt is my trip, but that is how others have interpreted it so I am going to follow suit. And one of the photos is the first photo I ever entered in the Gallery and the theme that week was SHAPES..... there were some COOL submissions that week - I bet you can remember.....? Bet you can! Can't wait to go on another trip with my little man. We did go to Ireland in January (that was our first flight with baby) but I still haven't blogged about that.